We all desire to age gracefully. From trying the latest anti-aging creams and serums to protecting your skin from harmful UV rays, there are many ways to fight the signs of aging. What’s more, many people assume that the only way to achieve youthful-looking skin as we age is by undergoing invasive cosmetic surgeries. But the truth is, there are other options for those individuals looking to achieve smooth, tight skin that looks and feels amazing. In today’s article, the health and beauty experts at Vibe MedSpas will share insights about the secret to achieving smoother, tighter skin — without a facelift. Vampire Facelifts are the next best age-defying treatment that can completely transform your skin using your own platelet-rich plasma (PRP). Ready to find out if a Vampire Facelift is for you? 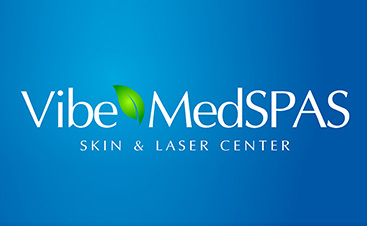 Call or click to book a consultation with your Top Rated Local® medical spa in Scottsdale. Read on to learn more about this breakthrough anti-aging therapy. What Is a Vampire Facelift and Is It For Me? The term “Vampire Facelift” may sound a bit unsettling when you hear it for the first time. But what comes to mind when you think of a vampire? You probably imagine a handsome, Brad Pitt or Tom Cruise dressed in centuries-old garb, and blood, of course, but you probably also think of a vampire’s inability to age. A Vampire Facelift is designed to fight the signs of aging using your own platelet-rich plasma (PRP). This treatment, also referred to as PRP Therapy or microneedling, combine nutrient-rich PRP with age-defying hyaluronic fillers and collagen to encourage circulation and stimulate cell and tissue growth. This quick treatment offers very little discomfort and can restore your youthfulness without having to undergo painful, invasive surgery. So, is this restorative therapy right for you? Let’s find out. If you’re looking for a noninvasive alternative to traditional cosmetic surgery, a Vampire Facelift is an ideal solution for you. 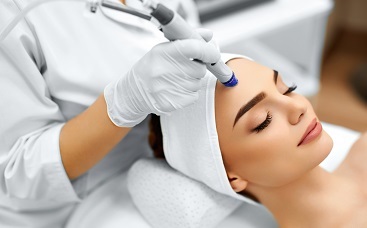 A highly trained and experienced physician combines topical and injectable treatments to stimulate circulation, collagen production, and tissue growth to beautifully shape and lift the face. Dull skin that looks gray due to a decrease in blood flow and circulation. Droopy or saggy skin that has lost its elasticity due to a decrease in muscle tone and collagen production. Uneven or rough skin texture due to age, stress, environmental factors, and lifestyle choices. Uneven skin tone due to poor circulation, stress, and a decrease in blood flow. Puffiness or dark circles under the eyes caused by stress and other factors. By combining the PRP with fillers and collagen, this medspa treatment can stimulate new tissue growth to smooth scars, wrinkles, and reduce the appearance of sun damage for a healthy, youthful glow. Vampire Facelifts are ideal for anyone who is looking to restore their body’s natural healing abilities to smooth out the skin on their face, eliminate wrinkles and fine lines, reduce the appearance of scars, and restore the skin’s youthful glow and brilliance. A Vampire Facelift — from the blood draw to the hyaluronic acid filler scaffold and the PRP injection — takes about 45 minutes. There is no preparation required and no lengthy recovery time as there is with a surgical facelift. This nonsurgical solution offers a quick recovery time with possible slight bruising. Most patients come in for their appointment and get right back to their usual routine and activities immediately following their appointment. There’s no need to take time off from work and no need stay cooped up in your home while you recover because — there’s no recovery time! 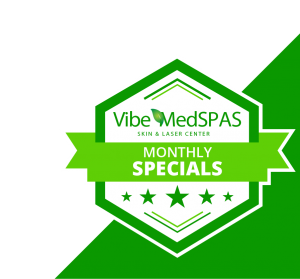 If you want to experience the benefits of a Vampire Facelift, reach out to Vibe MedSpas, Scottsdale’s premier medical spa. Our age management specialists look forward to talking with you about the anti-aging goals you want to achieve and can determine a customized treatment plan for you based on these goals. Contact us today and achieve the youthful radiance you desire — without cosmetic surgery!